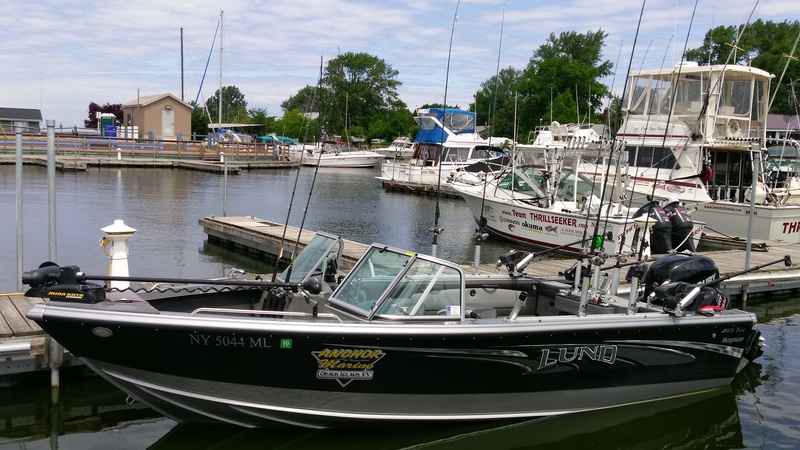 I fish many tournaments and derbies throughout the year and I also participate in club tournaments, donation tournaments, the Lake Ontario Pro-Am series and the Loc Derby series. In the LOC derby alone, I have 38 'Top 20' places since 2009, of which 2 are Grand prize, 6 are First place and 3 are Second place. I have won the Niagara Pro-AM (Pro division) three times, once in 2006. 2012 and again in 2018. Niagara Basseye and Reeling for a Cure. The first two tournaments are charity tournaments for Cystic Fibrosis. I have had the Grand Champion team 3 times. 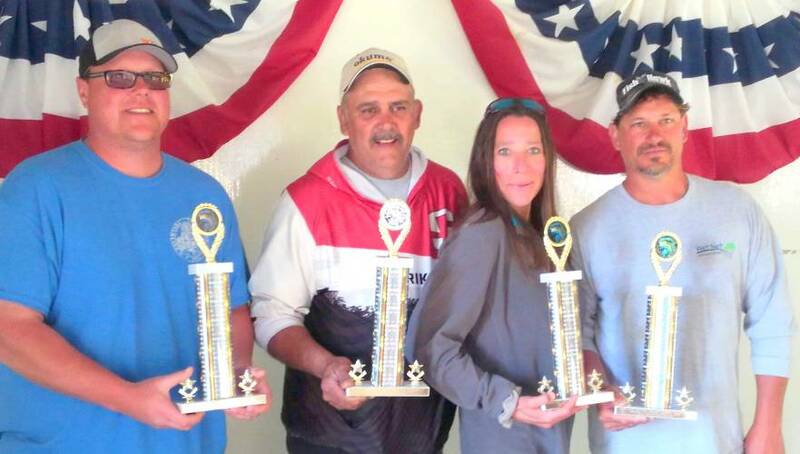 Grand Champion Angler 4 times in the lower Niagara Sport Fishing Challenge. I have also had the Grand Champion team the last two years and Grand Champion Angler last year for the Niagara Basseye. I also have various top place finishes in the club tournaments and other donation tournaments. I have had multiple articles written about my derby wins and my techniques of fishing the various water bodies of the Erie, Niagara region. You can find these in the great lakes angler, Lake Ontario Outdoors, STS magazine and New York Outdoor News. I have provided footage for various television shows. 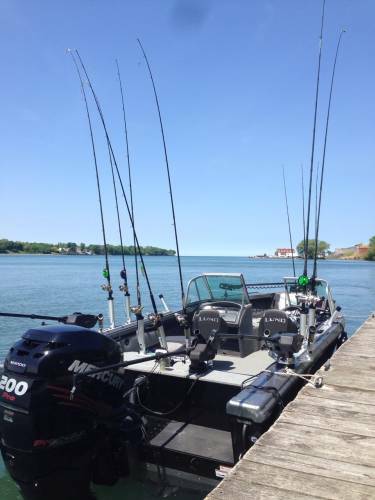 One of the shows was filmed on the Lower Niagara River for Illinois outdoors. Other television shows were filmed on Lake Ontario for is CRCS OUTDOORS. So far we have filmed 5 episodes in the last three years and have plans on filming 1-2 shows every year. 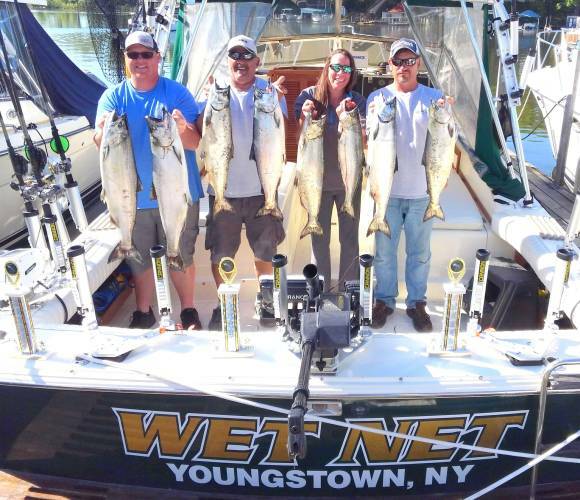 WET NET CHARTERS has been know as the premier "small" boat charter for chasing Salmon and Trout on Lake Ontario. Now we are offering "BIG" boat trips as well! (referred to as "IRON in the belly"
...Low and purposely aggressive profile and deep-V hull. We are also running a 2016 Lund Tyee Magnum as a charter boat. 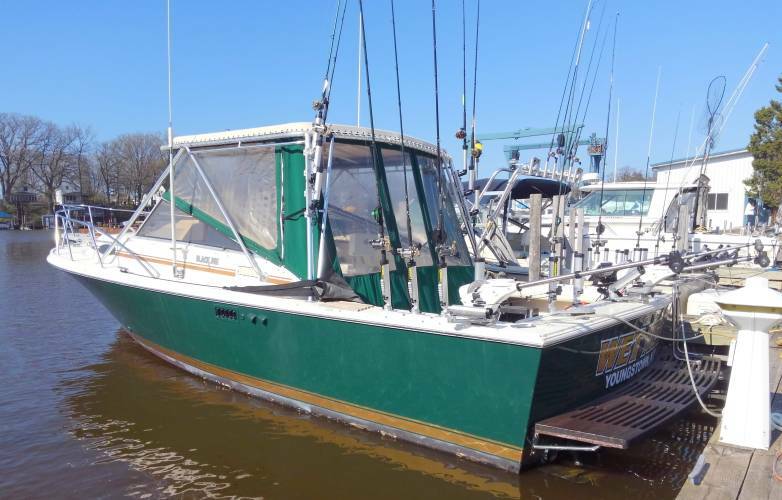 This boat was specifically designed by Lund for the great lakes and big water. With the full windshield and high sides it will keep you dry and safe. 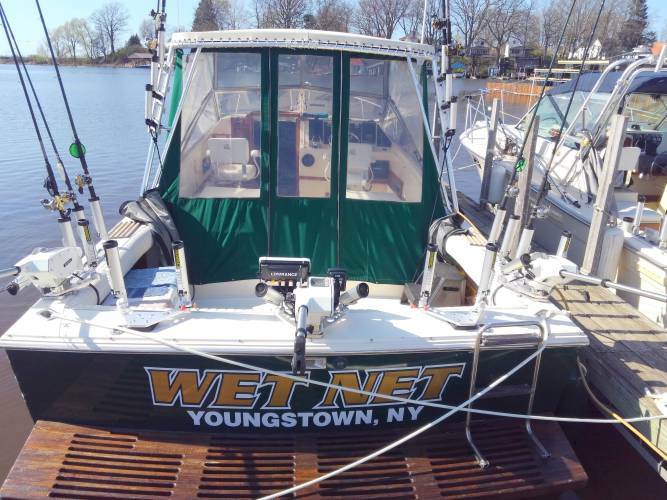 We powered this boat with Mercury Outboards. 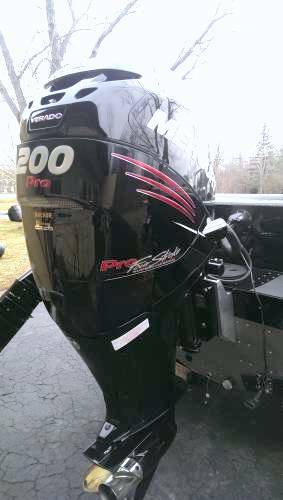 A 200 HP Verado Pro XS supercharged 4 stroke and 9.9 4 stroke kicker. Power, reliability and the fact that they are made in the USA is why we chose Mercury! All of our tackle is new and maintained on a regular basis. We strive to have the best equipment and tackle available to make your fishing experience the best it can be. Trolling rods - Diawa heartland downrigger and diver. Okuma leadcore/copper rods for our long lines. 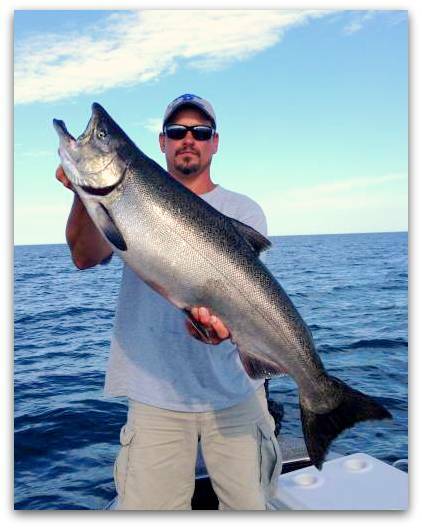 Lake Erie and Niagara River rod in hand fishing - All of the rods we use for rod in hand fishing are Fenwick HMX rods. These rods are equipped with Shimano Sahara 2500 spinning reels, Shimano Cardif or Shimano Curado baitcasting reels depending on the species of fish we are targeting.